West Ham secured their fourth win in a row after coming from behind to beat Southampton 3-1 at Upton Park. The visitors took a deserved lead early on thanks to Maya Yoshida's first Premier League goal, but were pegged back by two goals in quick succession, somewhat against the run of play. First, Matt Jarvis marginally beat the offside trap to level for the Hammers, and then Carlton Cole emphatically lashed home the loose ball after his header had come back off the post to put West Ham surprisingly in front. The second-half was virtually all Southampton as they threw everything at the Hammers to try and get the equaliser. However, Sam Allardyce's men held firm, and on the counter they made sure of the points, thanks to their captain fantastic Kevin Nolan, from close range. The scoreline doesn't tell the full story of a match that Southampton dominated for large spells, but it is what you do with your possession that counts, and the Hammers' bid for Premier League safety is looking healthier by the week, and they won't care how they get the points. After dominating the early stages it was the Saints that managed to score the first goal against West Ham for over six hours of Premier League football, with Yoshida leaping above a static defence to head home a Steven Davis free-kick. In the opening 15 minutes Saints had 70 per cent possession as they passed the ball around with ease, and looked excellent value for their lead. However, two goals in three minutes sprang the game into life, and turned the match on its head. Skipper Nolan picked up the ball in the centre circle, played an excellent ball over the top, which Jarvis, who close to being offside, controlled well and slotted the ball under the onrushing Boruc to level. And then, as the Saints were still in shock from conceding against the run of play, Cole struck to send Upton Park into raptures. From a left-wing Stewart Downing corner, Cole outjumped his marker, headed against the upright, but as Yoshida struggled to clear the rebound the imposing hitman pounced to fire the Hammers in front. 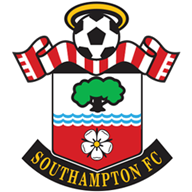 Southampton were shocked into life, and almost leveled through a distinctly off-colour Rickie Lambert, whose close-range header came back of the post with Adrian beaten. The second half followed much of the same pattern, with Saints dominating possession, but West Ham standing firm. Substitute Gaston Ramirez did add more impetus to the Southampton attack, and came mightily close to grabbing the leveller, firing just over after manoeuvring space for the shot well. But on the counter, the home side made sure of the victory thanks to their ever-reliable skipper. 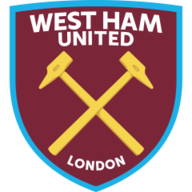 Downing's ball into the box found Cole, who climbed above his man to head down, and Nolan, who has come under much scrutiny from the Hammers faithful this season, acrobatically volleyed the loose ball past Boruc to seal victory. Substitute Mohamed Diame almost made the scoreline more flattering, hitting the crossbar with a powerful strike from distance, but the Hammers held on for a vital victory, and continued their impressive resurgence.